Operating 24 hours a day, 7 days a week – Dynamic Cars & Couriers UK deliver your parcels at a time to suit you. Need the parcel to reach the office before you do? Let us know. Need an urgent letter sent to a customer out of business hours – we’re here for you. 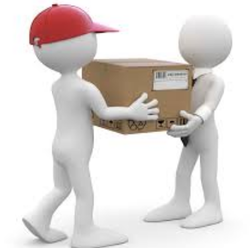 Each and every delivery handled by Dynamic Cars & Couriers Uk is fully assured and fully insured. Not only do we promise to meet the agreed delivery time, we’re so sure of our service that if we don’t, we’ll give you your money back. We can facilitate urgent same day deliveries nationwide and guarantee a safe, secure, reliable and fully insured same day or next day delivery. Dynamic Cars & Couriers UK specialized services include special pick-up times and internal handling requirements, dedicated line haul or delivery schedule, customized billing and administrative procedures. Dynamic Cars & Couriers UK offers new and extended services to The Courier Service customers. Dynamic Cars & Couriers UK is committed to excellent customer service, so we’re confident that or services will benefit your business.